Founded in 2012, Get A Rate is a new lender with a new way of doing things. 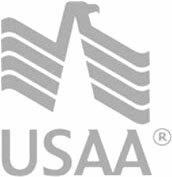 Unlike other lenders, Get A Rate is non-commissioned. Their advisors are paid with a salary, whether or not you decide to pursue a loan application, which means that they’re only working with your best interest in mind. In addition to having salaried advisors, Get A Rate has their entire pre-approval process in-house, which means that you’ll find out whether or not you’re preapproved in as little as a half hour. Their accurate rate quotes and true affordability calculator also help make sure you’re knowledgeable and prepared. Get A Rate is primarily in New Jersey, but is also licensed in Pennsylvania, Connecticut, and Florida.